A few quick video clips that help us to understand the idea of "humanism" that occurs during this time period of the Early Modern Era. 1450-1750 saw a great surge of advancement in areas of Science and those ideas were shared and used to carefully examine all of human society. 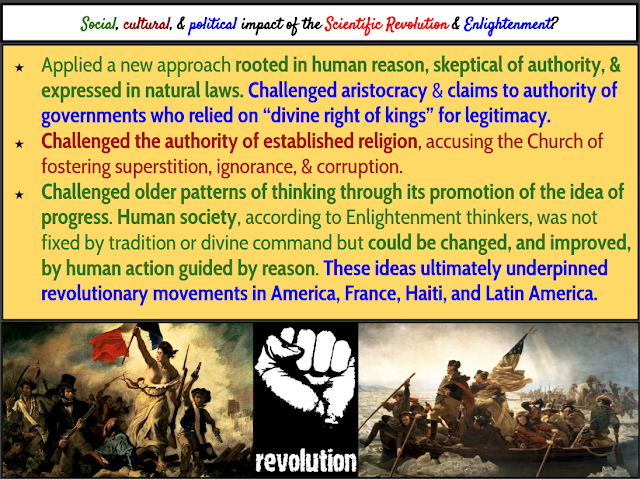 First, the Protestant Revolution used the humanist mindset to examine corruption in the Catholic Church. The sale of indulgences, collection of relics, and the rituals & rules being used to guarantee entry to heaven were denounced. Martin Luther and others attempted to improve the church through humanist methods. They believed that it was through "Faith and Faith Alone" that one could find salvation. This was a true turning point in the history of Western Civilization and European culture. 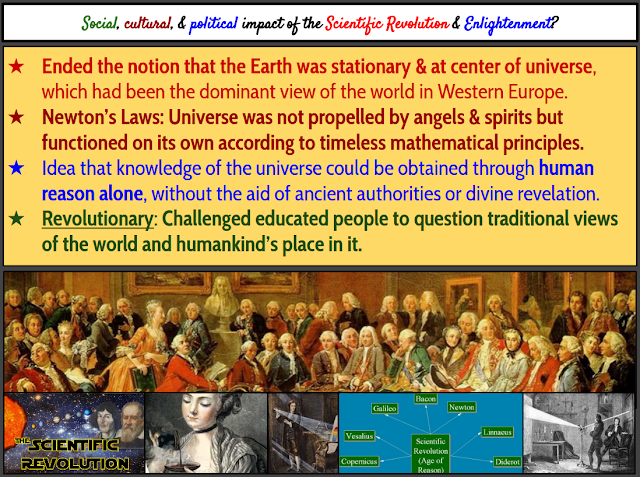 The "Scientific Revolution" refers to historical changes in thought & belief, to changes in social & institutional organization, that unfolded in Europe between roughly 1550-1700; beginning with Nicholas Copernicus (1473-1543), who asserted a heliocentric (sun-centered) cosmos, it ended with Isaac Newton (1642-1727), who proposed universal laws and a Mechanical Universe. Today it continues with every new scientific discovery and in every classroom that uses the scientific method to understand our world.